Titus2:3 Likewise, teach the older women to be reverent in the way they live, not to be slanderers or addicted to much wine, but to teach what is good. 4 Then they can train the younger women to love their husbands and children, 5 to be self-controlled and pure, to be busy at home, to be kind, and to be subject to their husbands, so that no one will malign the word of God. I am blessed to have an amazing mother-in-law, Doris, that has been my spiritual mentor. She loves the Lord and she is a big time intercessor (that means she prays for me)! I love her and what she has to teach me. Do you have a spiritual mentor? If not, pray and ask the Lord to send her. How will know when she arrives? Is she already in your life? Here are the signs that follow a mentor. She is the one who encourages your spiritual walk. She walks with the authority of a woman who knows her Lord and she teaches you what she knows as you are ready to learn. She is the one who loves you through the rough times in your life and leads you straight to the feet of Jesus. She is the one whom you see really walk out her faith. Is she perfect? No, not at all but she’s working on herself and it shows. She sees your progress and tells you about it. She never loses patience with you (for very long). She has a divine word for your life and she prays for you. She corrects you with love and guides you with wisdom. She rejoices with you in all of your successes and comforts you in your sorrow. She imparts her wisdom into your life. She is one with whom you can share your secrets with and she will hold them, not casting judgment but giving wisdom. She teaches you to walk in the way of a true woman of Christ. Here is how you know she is not a spiritual mentor. She will not ever give you advice that goes against the word of the Lord. She will never manipulate you into doing what she thinks you ought to do. She will never try to control your actions. She will always have your best interest at heart. She does not counsel with you over her stuff but she is authentic and may share life lessons learned. She does not intimidate you ever. She knows intimidation never works long-term. She understands you will either follow her advice or not but she loves you anyway. My prayer for you today is that you find her. That if you don’t have her in your life already that God will send her to you. Your life will be better for it and you will have someone with whom you can rely on to be with you! Next postHung Up On The Whys? Does it have to be a “her”? I have several that influence my life now…I’m a firm believer in being vulnerable and correctable by even those I consider younger in the faith. I’ve been rebuked for things by those who simply looked up to me and asked me why I did something (which they may not have known was outside the bounds of Scripture, though I did) and it shook me awake. But as a for the mentoring thing, I’ve had several over the years and submit to anyone who is wise or spiritually gifted with insight. This doesn’t mean, however, that I agree with them or do everything the way they would recommend, but I do use their voices to guide my actions and open my heart to hear God’s voice. Good question! I believe a woman needs a good godly woman to mentor her on being a woman. I’m like you, I have a few people who speak into my life, but the really deep female stuff I have one person I speak to. When you need good godly male advice about guy stuff, you probably have a go-to guy as well. It’s really cool that you have a solid support system. I wish more people did! I’m a little confused by the paragragh that says, this is how you know if she is not a spiritual mentor. 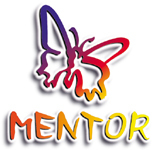 It lists characteristics that I thought would be good for a mentor to do. Will a mentor give you advice that goes against the Word? The remaining questions are likewise or am I reading the sentences incorrectly.I do not have a mentor to date and I am praying to God that He send her my way real soon. Thanks for reading LeilaG! I’m going to pray that the Lord send you a spiritual mentor. They are so needed in the church today. Let me try to clarify the paragraph and why I believe the way I do, then you can ask me if you still have questions. Your spiritual mentor would never give you advice that goes against the word because she lives her life by the word and would advise you in that direction. She will give you her opinion but she won’t try to make you do something. She understands that transformation comes by the renewing (regularly) of your mind. That means giving you information and allowing you to make informed decisions. Ultimately she understands it is your life to live not hers to do over. She will have your best interest at hand but she won’t insist. She understands free will. She will pray and at times she will speak strongly but she knows that you won’t grow and learn unless you understand the reason you are doing what you are doing. A mentor isn’t your equal or best friend. She is more like a mother or an aunt. Her problems won’t help you and it will confuse the relationship. She will take her problems to her mentor, just as she has allowed you to. Hopefully that helps. Let me know, and again, thanks for reading. I love this.mentorship&discipleship hv been part f my ministry.i lik 2 hear about it.pls,can smbdy wit diferent vision 4m urs be ur mentor.why do we need a mentor?how many mentor do we nd 2 hav?